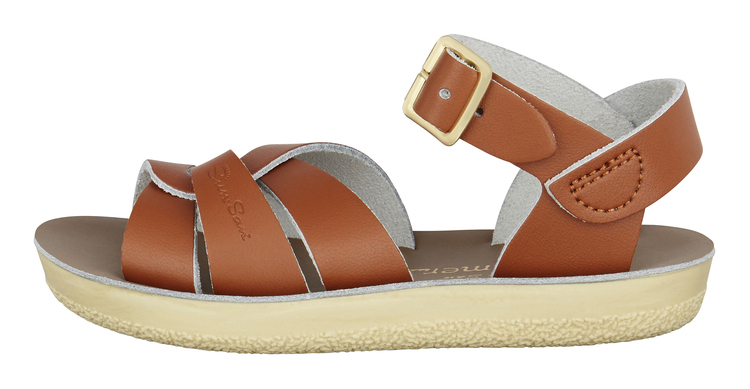 The Swimmer design is based on the original Salt-Water featuring a plaited leather upper with buckle ankle strap. 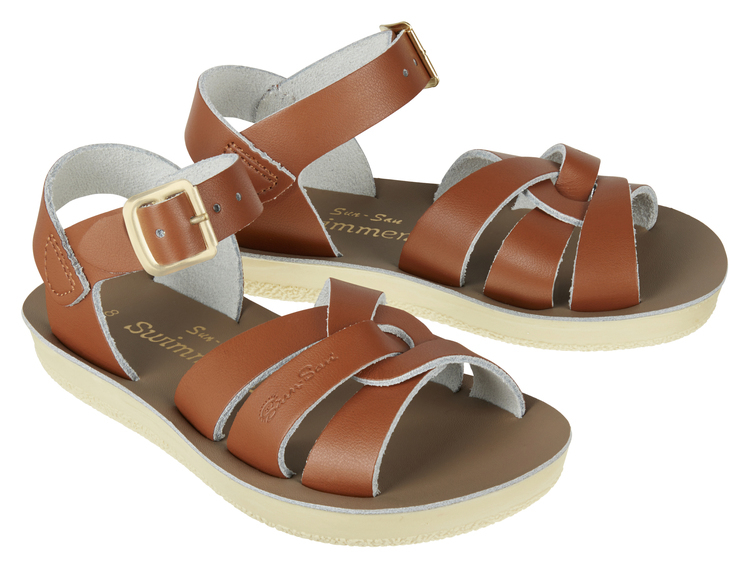 The differences are the Swimmer has a slightly narrower fitting and, like all Sun-San Sandals, the Swimmer comes on a spongy sole with rust proof buckles. They can also be worn in the water and put through a cool machine wash. 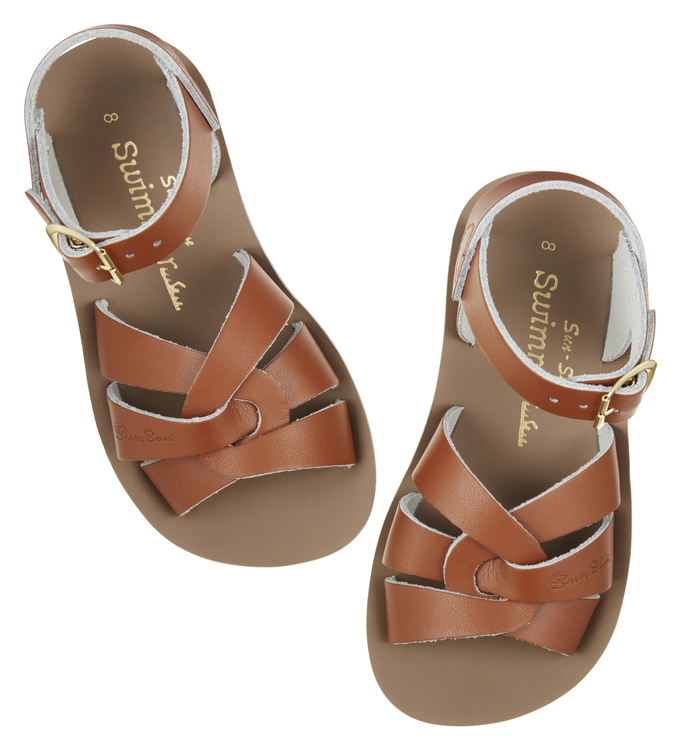 The Swimmer is a popular choice for summer sandals. Please dont hestitate to email me lemonlou@outlook.com or DM me on instagram with questions re sizes. 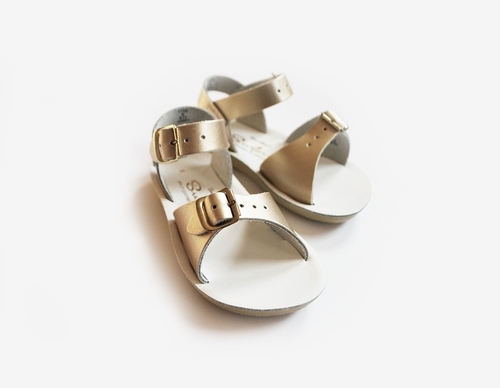 The cm next to each size are what Salt-water sandals write on their boxes. I find the true size is about 0.5cm bigger then the cm stated below. So keep that in mind. Please print this size guide to get a better understanding of the sizes.